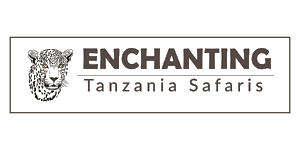 We are midsized locally owned safari company in Tanzania, dedicated to planning, organizing and operate custom safaris to guests from all over the world. We offer Wildlife Safaris to the Northern Circuit (Serengeti National Park, Ngorongoro Crater, Tarangire National Park, Manyara National Park and Arusha National Park), Wildlife Safaris to the Southern Parks (Selous Game Reserve and Ruaha National Park), Wildlife Safaris to the Western Tanzania (good spots for Chimpanzee trekking in Mahale and Gombe Streams National Park). Our safaris cover Budget Camping, Midrange Accommodation, Luxury tented Camps and Lodge. We are organizing Beach Holidays on the coast of Tanzania and Zanzibar Islands, Mountain Climbing (Mt. Kilimanjaro and Mt. Meru), Bird Watching and Cultural Tourism (Day Trips and Town Tours). We are passionate about what we do and we can’t wait to show you what the beautiful wilderness of Tanzania has to offer.